We're here to help, just let us know the details of your trip and we'll do the rest. We'll provide you with a fast, accurate quotation. 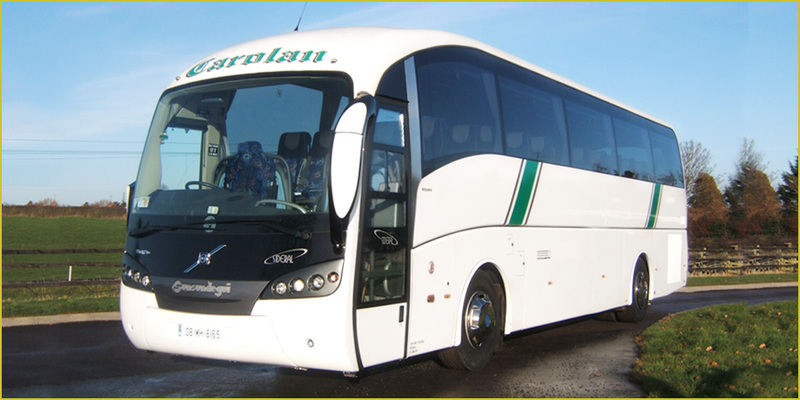 Carolan Coaches is a family run superior executive Irish coach company situated in the historic village of Nobber in North County Meath, close to the ancient towns of Kells and Slane. We’re just 45 minutes from Dublin Airport and minutes from both the M1 and M3 Motorways with easy access to Belfast, Cork, Galway and Limerick. and the main arteries to the whole of Ireland. 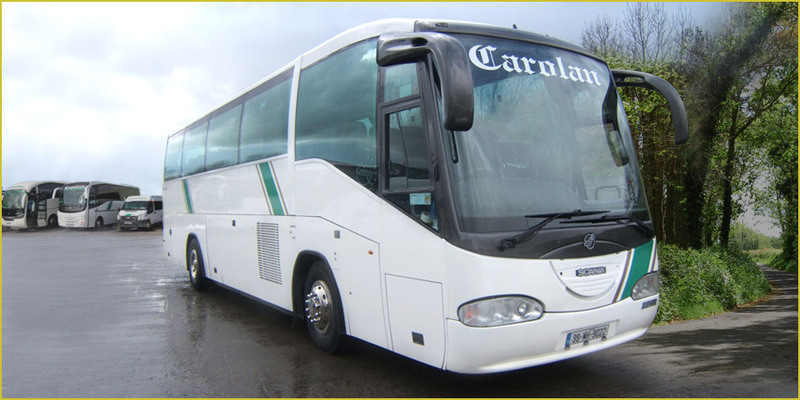 Over 40 years Carolans have developed the business to cater for your every need and you can relax and enjoy the comforts of your journey confident that you will enjoy the experience. Whether it’s a package tour, sporting event, concert or educational tour we can supply the coach that’s perfect for your group with a fleet ranging from executive mini bus or a large 50 seater coach with air conditioning and reclining seats. 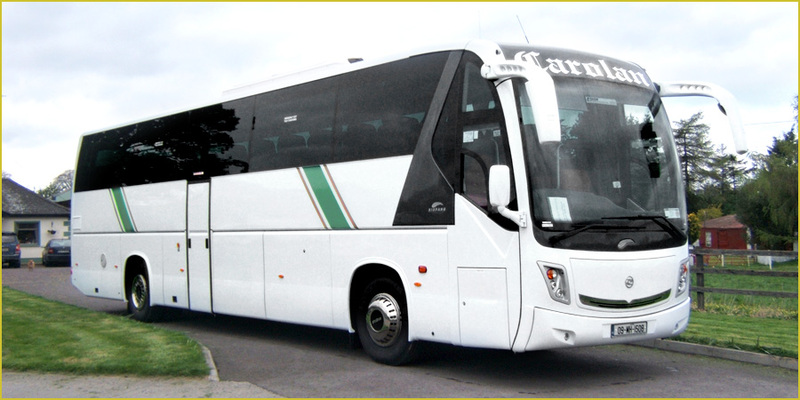 Your search for excellence in coach hire ends here at Carolan’s. Please contact us now for a fast, free, no obligation quotation. Relax and enjoy your journey around the breath-taking scenery Ireland offers. We’ll take you to all the best places for an unforgettable holiday. Famed for its sporting traditions, Ireland offers a unique sporting experience whether with round or oval ball or even with our traditional Sliothar! Dublin plays host to some of the most exciting acts in the music and entertainment field. We’ll make sure you get to the venue in style. We specialise in educational tours varying from music, ecclestacical and literary, and we regularly run adventure tours to Tayto Park and Fort Lucan. 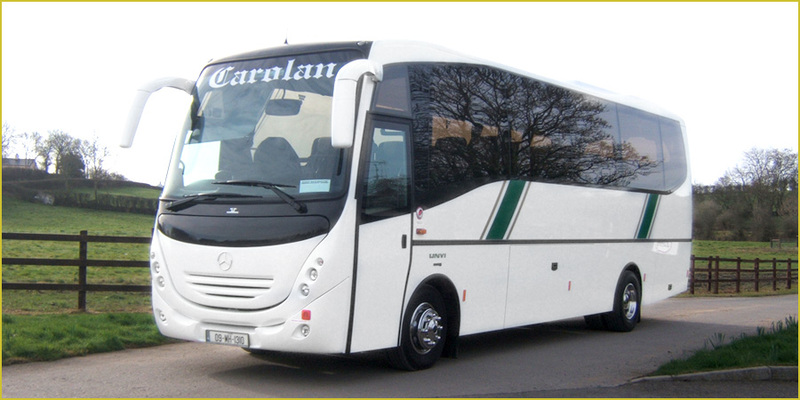 Carolan Coaches © 2012. All Rights Reserved.